There was a firework display above the Estádio Independência in Belo Horizonte, Brazil to entertain fans before the Copa Libertadores match between Atlético Mineiro and Internacional. Leonardo Silva equalised in the last minute of the game to grab a 2-2 draw for the home side. 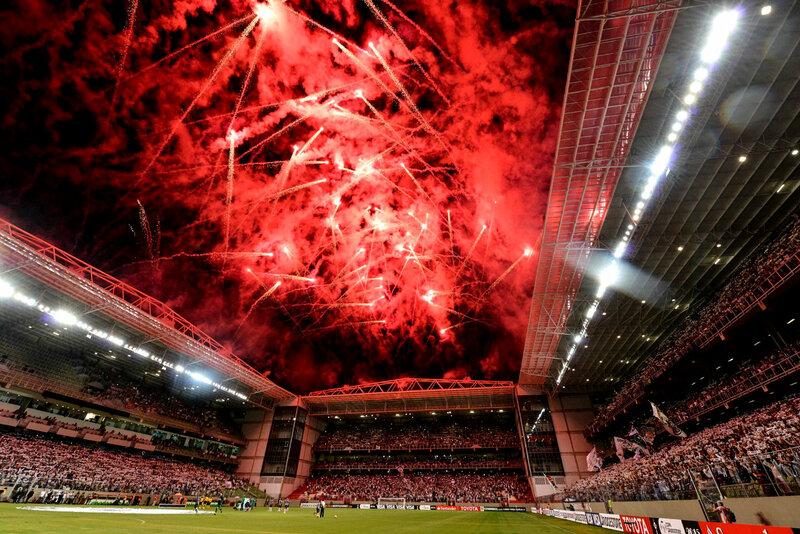 via Sport picture of the day: fireworks at Atlético Mineiro | Football | The Guardian. This entry was posted in PHOTOGRAPHY and tagged Popular, The Americas. Bookmark the permalink. ← Revolutionary Art, Los Angeles.